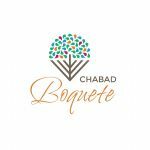 Guided by the inspiration of the Lubavitcher Rebbe, Chabad Boquete started in the year 5776 (2016) after identifying authentic Jewish needs in the region of Chiriqui, Panama – home to 10,000 American expats. It started with sporadic visits to the Jews living in the area, putting up Mezuzot, laying Tefilin and sharing Jewish thought with them. Eventually, the need for a Jewish cemetery and proper Jewish burial was also detected as an immediate need. As time progressed, the potential of the Boquete area became relevant, too. Not only its natural beauty has attracted (and attracts) tourists from all around the world, but also its capacity for development and evolution has been exposed by the boom of progress and immigration that strike the beat in this corner of the world, notwithstanding the fact that it is already Panama’s breadbasket and center of production. Today, Chabad Boquete strives to promote all matters of Judaism in the region, providing Kosher food, Torah lessons, Women’s Circle activities, Shabat Meals and other projects that are being programmed and established for the furtherance of Jewish life in Chiriqui. Come meet us! We are waiting for you!